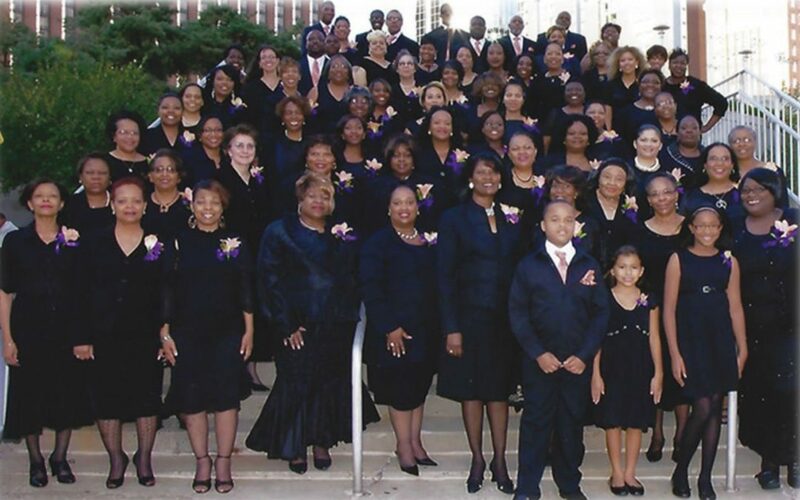 The BREAD of LIFE SPEECH CHOIR Celebrates 30 years! 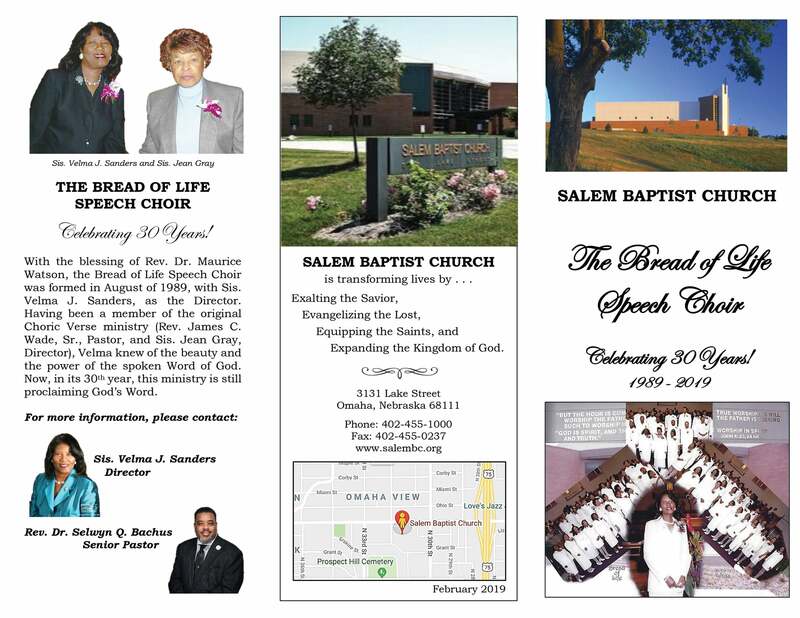 On Sunday, March 24, 2019, the Salem Baptist Church of Omaha, Nebraska commemorated the Bread of Life Speech Choir for 30 years of ministry. 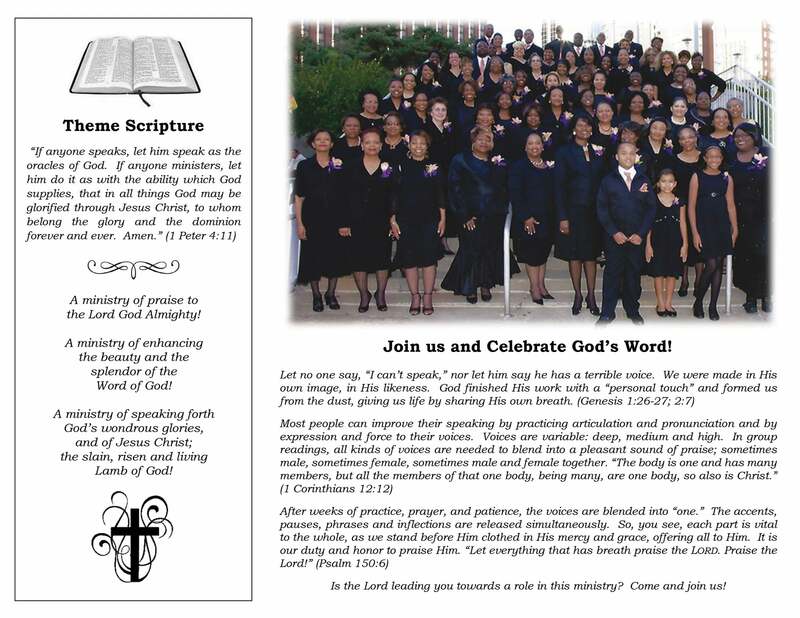 Congratulations on 30 years of faithful service; proclaiming God’s Word. Sis. Velma Jean Sanders expresses sincere thanks to God for calling us to be vessels to speak forth His Word. The BOLSC was founded by former Pastor, Rev. Dr. Maurice Watson. It gladly continues serving under the current Pastor, Rev. Dr. Selwyn Q. Bachus.